“The issue is wet wipes, whether labelled ‘flushable’ or not, don’t disintegrate like toilet paper,” said Jim Collins, Water and Sewerage Services Manager. “When people put wet wipes down the toilet they build up in sewerage systems and form a solid mass that chokes pipes, treatment plants and pumping systems,” Mr Collins said. These chokes have the potential to send raw sewage into local lakes and waterways threatening people’s health and local aquaculture industries. “Toilet paper is the only material that can be flushed down the toilet,” Mr Collins said. At one Pambula Pumping Station, Council crews have had to respond to at least 50 chokes this year, adding an extra $25,000 at least to the cost of running that facility alone. “Our advice to residents is to simply put wet wipes in with normal household garbage, please don’t flush them down the toilet,” Mr Collins said. 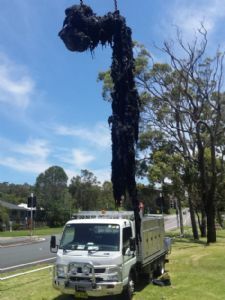 Bega Valley Shire Council operates 10 sewage treatment plants and around 60 pumping stations across the Shire and increasingly wet wipes are interfering with the efficiency of those facilities. “Aside from causing problems for Council systems, residents also need to consider the potential problems these wipes can cause in their own home plumbing,” Mr Collins said. The water and sewerage industry is working with the manufactures of wet wipes on the issue and improving the advice to people on the products label.